This year SPIE Photonics West will host an estimated 23,000 attendees, 1,350 exhibitors, and more than 5,200 papers when it opens its doors on 2 February. The show has three major conference tracks: Bios, which highlights new discoveries and research in biophotonics, biomedical optics, and imaging; Opto, which will showcase optoelectronics, photonic materials, and related devices; and Lase, which will focus on industrial lasers, laser sources, and laser applications. Lase 2019 will feature 900 papers and presentations covering a range of topics including laser manufacturing, laser materials processing, micro and nano packaging, fibre, diode, and solid-state lasers, laser resonators, ultrafast lasers, semiconductor lasers and LEDs, and 3D fabrication technologies. The plenary session of the conference will take place on 4 February and will feature Earl Maize from JPL, who worked on the Nasa Cassini Mission, Yuji Sano, from the Japan Science and Technology Agency and manager of the ImPact programme, and Günther Tränkle, from the Ferdinand-Braun-Institut in Germany. Laser sources, which will have conferences on: solid-state lasers; fibre lasers; high-power lasers for fusion research; components and packaging for laser systems; high-power diode laser technology; and vertical external cavity surface emitting lasers (VECSELs). Nonlinear optics and guiding, which will have conferences on: nonlinear frequency generation and conversion; real-time measurements, rogue phenomena and single-shot applications; and laser resonators, micro resonators and beam control. Micro and nano applications, which will have conferences on: laser applications in microelectronic and optoelectronic manufacturing; laser-based micro- and nanoprocessing; synthesis and photonics of nanoscale materials; frontiers in ultrafast optics: biomedical, scientific and industrial applications; and laser 3D manufacturing. Macro applications, which will have conferences on laser 3D manufacturing, free-space laser communications, and high-power laser materials processing – applications, diagnostics and systems. The Lase 2019 symposium will be chaired by Xianfan Xu, from Purdue University in the USA and Beat Neuenschwander, from the Bern University of Applied Sciences’ School of Engineering and Technology in Switzerland. It will be co-chaired by Koji Sugioka, from the Riken research institute, Japan, and Reinhart Poprawe, from the Fraunhofer Institute for Laser Technology ILT in Germany. The Prism Awards, now in its 11th year, is also hosted at Photonics West, and celebrates outstanding examples of the imaginative range and innovation reach of photonics research and development. The award is divided into categories including imaging and cameras, vision technology, detectors and sensors, test and measurement, diagnostics and therapeutics, transportation, light sources, optics and optomechanics, scientific lasers and industrial lasers. This year’s finalists for the industrial lasers category include US firm NLight for its Corona fibre laser technology – see page 30 for the latest model of the family; Israeli high-tech firm Civan Advanced Technologies for its HP Laser and Coherent Beam Combined (CBC) technology for material processing; and German laser manufacturer Trumpf, for its TruPrint 5000 3D printer, featuring three 500W fibre lasers, which was launched at Formnext last year. Lasermet will be at booth 5153 on the UK Pavilion demonstrating the Laser Castle, a laser safety cabin offering the latest features in certified laser safety, including touch screen interlock control, dual message LED signs, HD-CCTV, a proven failsafe design, a modular build, Lasermet’s Laser Jailer active laser guarding system, Lasermet’s Swallow fume extraction system, and a choice of door systems. 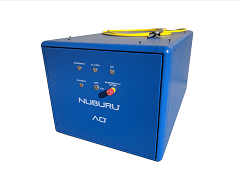 This modular-build cabin conforms to ANSI Z136.1 laser safety standards and is a turn-key solution providing multi-kilowatt laser radiation containment for robotic laser welding, cutting and cladding. The firm will also be showcasing LaserSafe PC – laser safety software that comprehensively calculates virtually all the aspects of laser safety that need to be known to stay safe. 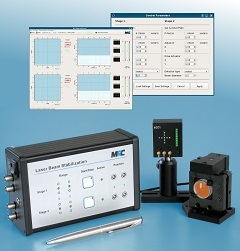 In addition to showing all of the relevant MPEs and NOHDs, as well as specifying labelling for laser safety eyewear and enclosures, the new 5.4 version of the software includes converging (focusing) beam and M2 inputs. A multifunction lens calculator is included to determine beam convergences. The calculator also provides focus characteristics as a potential aid for materials processing. 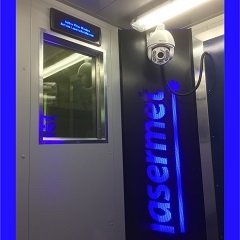 Lasermet manufactures laser safety interlocks, LED signs, enclosures, table-top containment, laser blocking curtains, screens and roller blinds, and also provides laser safety services worldwide. MRC Systems will be exhibiting at booth 3100 with its compact laser beam stabilisation systems that serve a wide range of applications. The systems enable real-time stabilisation against laser beam pointing in more and more industrial and scientific applications. The turnkey products stabilise the beam against motion, drift, vibrations, and other disturbances. 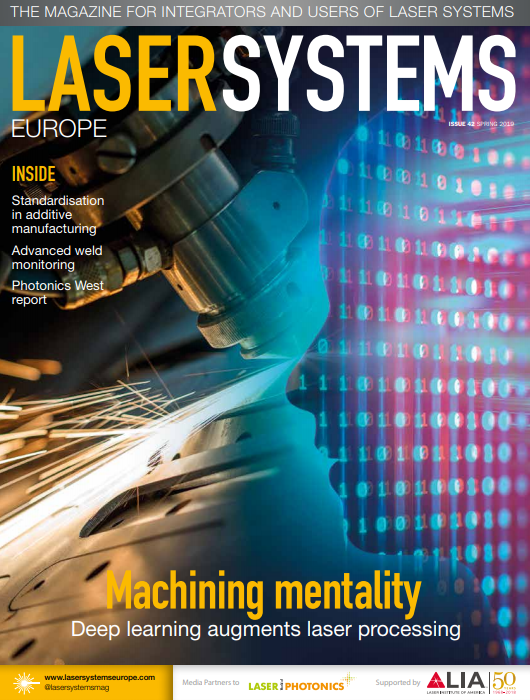 New applications served by the systems are micromachining with ultrashort lasers, where the scanners and the focusing optics must be hit with highest accuracy, as well as experiments with sliding stages, where mechanical deviations must be compensated. Another example is the adjustment of lasers into optical fibres. Besides these in-line stabilisation tasks during laser operation, the systems can also be used to ease the first alignment of a laser setup, or the re-alignment after a service. The stabilisation systems combine precise position detectors and piezo-driven mirrors with fast closed-loop controllers. They work without digitising steps or latencies, which make them extremely fast and accurate. 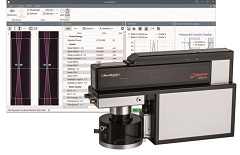 At booth 927 Ophir will showcase BeamWatch Integrated, a fully automated system designed to measure critical laser beam parameters in industrial production environments. This rugged, compact system features non-contact beam profiling technology that accurately captures and analyses industrial lasers typically too powerful for direct readings. The system instead measures Rayleigh scattering using a pass-through beam measurement technique that involves no contact between the instrument and the beam. BeamWatch Integrated measures all the critical parameters of the focused beam in real-time, including focus spot width and location, focal shift, centroid, M2, divergence, beam parameter product (BPP), Rayleigh length, beam tilt angle, and absolute power. The system is designed for wavelengths from 980nm-1,080nm and laser powers up to 10kW (and 30kW, on request). It can accommodate different types of welding heads, and its Profinet and GigE interfaces make it easy to integrate into production networks and automated manufacturing lines.